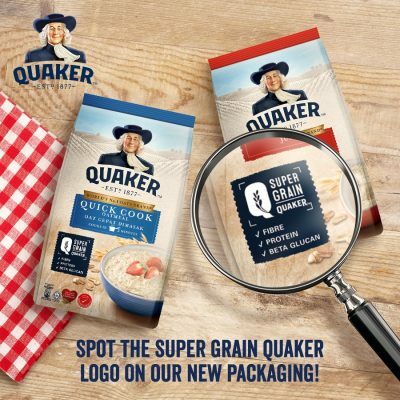 Quaker Instant Oatmeal and Quick Cook Oatmeal have a new Super Grain Quaker logo in Malaysia and the Philippines to identify a healthier option that comes with fibre, protein and beta-glucan. The overall packaging design has been refreshed with a new background image of wheat fields and a more prominent Quaker logo. In the previous packaging, the description of beta-glucan’s cholesterol-busting benefit in the Quaker Quick Cook Oatmeal is highlighted in the shape of the heart. This is separated from the other three claims – high fibre, source of protein and source of iron. Now, the Super Grain logo makes its very clear and includes beta-glutan as one of the three most important benefits. In addition to the new Super Grain logo and packaging change, PepsiCo (M) launched Quaker 3-in-1 Oat Cereal Drink in Matcha Green Tea and Mocha flavours in February 2018 to improve the indulgence but healthy appeal of 3-in-1 oat cereal drink. 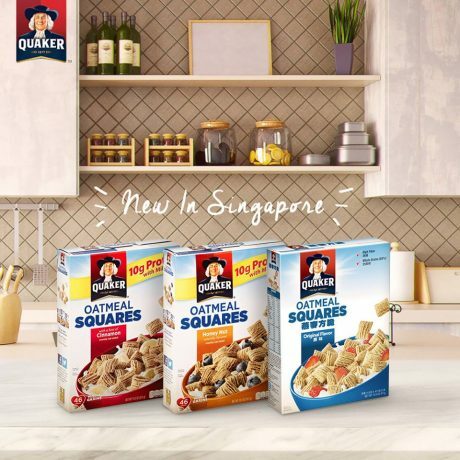 New in Singapore in April 2018 is the Quaker Oatmeal Squares. The product is made from wholegrain Quaker Oats with soluble fiber that makes this the perfect breakfast partner. It is available in 3 flavours – Original, Honey Nut and Cinnamon and exclusively available at Fairprice Supermarkets. 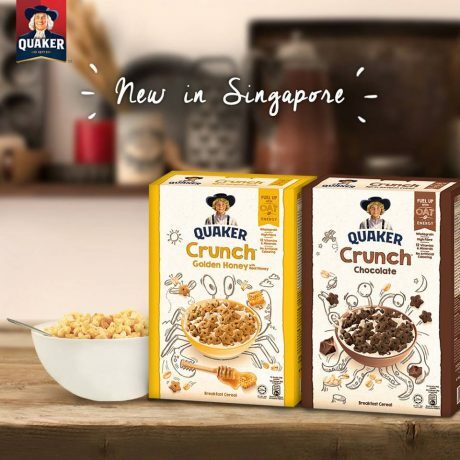 Earlier in March 2018, Quaker Crunch, available in Malaysia since December 2015, was made available exclusively at Fairprice Supermarkets. Quaker Oats Singapore raises the question – “did you know that children can have high blood pressure too? The company wants parents to ensure children have a healthy and nutritious diet starting young with Quaker Crunch as it is a source of calcium, iron and vitamins. 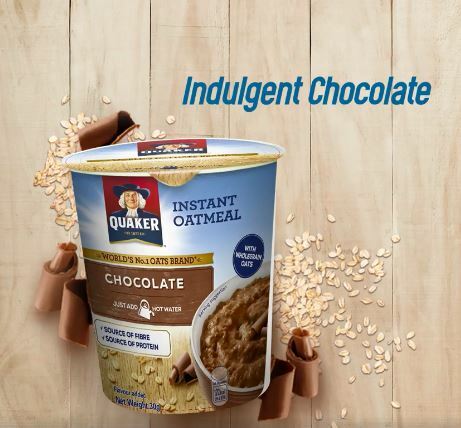 Quaker Instant Oatmeal Cups was launched in the Philippines in late 2017 and similar products were made available in Malaysia through FamilyMart in early 2018. The Quaker Instant Oatmeal Cups are available in banana and honey, chocolate, beef and carrot or chicken and mushroom.